Braintree, which has built its reputation on offering a solid set of payment solutions to support eCommerce merchants, acquired the mobile payment company Venmo in 2012. A year later Braintree was acquired by PayPal and since then has been feverishly promoting the value of their integrated solution. While this Braintree/PayPal/Venmo solution does have its perks, it does not address some of the most pressing and practical issues facing global merchants today. Fortunately, there are better Braintree alternatives. Which Is the Better Choice for Your Business – BlueSnap or Braintree/PayPal? Payment Conversions: With less global bank connections to process payments locally, Braintree/PayPal merchants often recieve lower payment conversion rates than their industry peers, particularly if they are selling into multiple countries. Global Payment Types: While PayPal may be the most well known, there are hundreds of alternative payment types needed to support a true global eCommerce effort — Braintree only supports 25. Detailed Payment Analytics: Braintree/PayPal has reporting on sales and reconciliation, but falls short on the detailed analytics you need to understand whether your site is converting well. BlueSnap provides detailed reports beyond the basic sales intelligence and reconciliation reporting. Empowering merchants with detailed Payment Conversion reports by currency, geography, price point and more enables continuous optimization of payment success rates. The breadth of the Braintree / PayPal combo and their capabilities is broad. As such, they are not solely focused on the needs of merchants like you — Braintree/PayPal has dual interests, with a focus on both supporting the consumer with their wallets (PayPal and Venmo) as well as supporting eCommerce merchants. As a result, they are often placed in a situation where they must choose between serving the merchant processing needs or the needs of the consumer wallet holder. These interests also pit Braintree/PayPal in direct competition with some of the largest payment types in the world; including emerging digital wallets that compete with Venmo such as Visa Checkout, MasterPass, AliPay, Apple Pay and more. BlueSnap on the other hand, is focused entirely on supporting merchants like you by offering the global functionality you need, while matching the API and developer-friendly functionality of Braintree/PayPal – allowing you to capitalize on today’s $4 billion cross-border eCommerce opportunities. Read on to learn why BlueSnap might be your best option if you are looking for a strong Braintree alternative. As your business grows, you need the power of multiple bank connections to ensure you are maximizing payment conversions. BlueSnap’s Intelligent Payment Routing leverages 30+ global banks through a single connection with failover to ensure that every transaction that can be approved, is approved. Braintree/PayPal will limit you to only a few local banks, severely hampering your conversion opportunities and increasing the likelihood of payment processing declines. BlueSnap’s All-in-One Payment Platform was designed to fight checkout abandonment and convert more shoppers to buyers, globally, which is the Platform supports 110 trusted payment types versus Braintree’s 25. 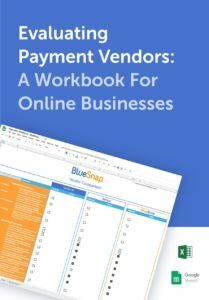 With alternative payments predicted to account for as much as 50% of eCommerce sales by 2020, BlueSnap accepts a host of payment types ranging from cards to ACH and local bank transfers as well as local eCommerce payment options. A huge benefit that BlueSnap offers its merchants is full global merchant support. With support staff located around the world, we are always available and ready to assist you with your payment gateway and merchant account questions. At Braintree/PayPal, you are one of 10 million + merchants, often left to fight for attention. So, if you are looking for a strong Braintree alternative, consider BlueSnap. Contact us today to learn more.